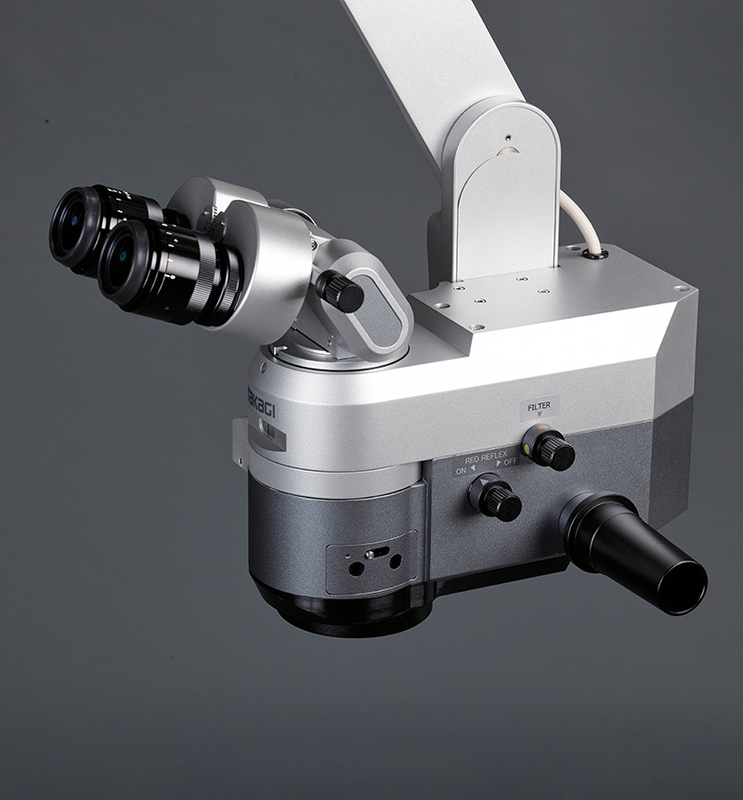 The world’s first surgical microscope with independent light intensity adjustment for coaxial and red-reflex illumination to suit each patient case and surgeons unique preference. 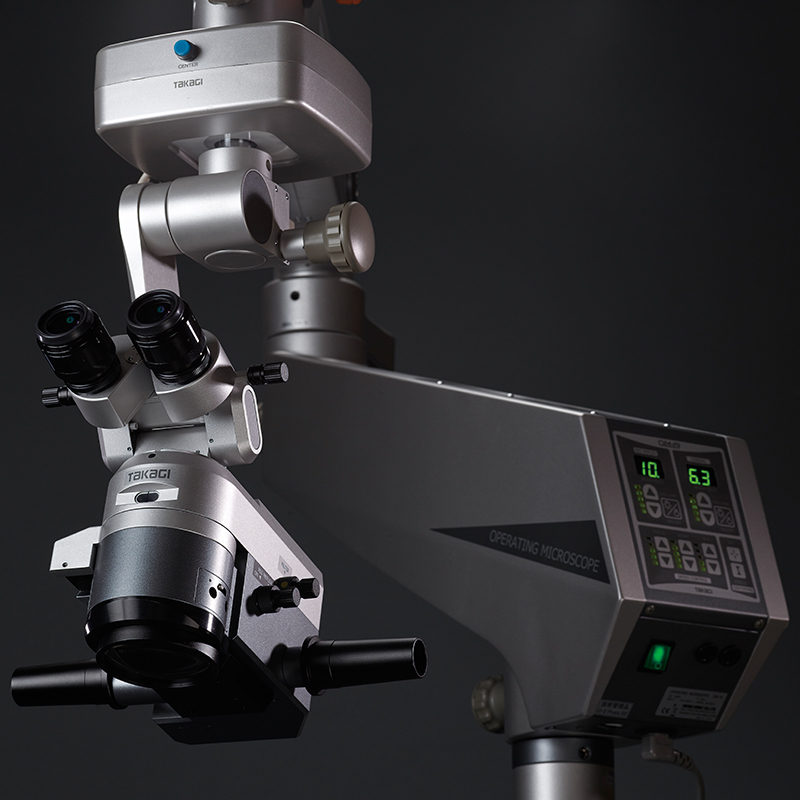 High-performance LED surgical microscope combining ‘visualising’ with ‘ease of use’. 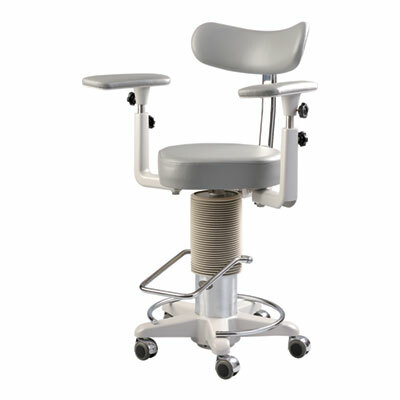 • Tiltable binocular tubes with an incline of more than 90º to suit the height and posture of the operating surgeon. Movable range: 0º (straight) to 90º (inclined). • High-grade high-eyepoint multi-coated eyepieces delivering a bright and sharp view. 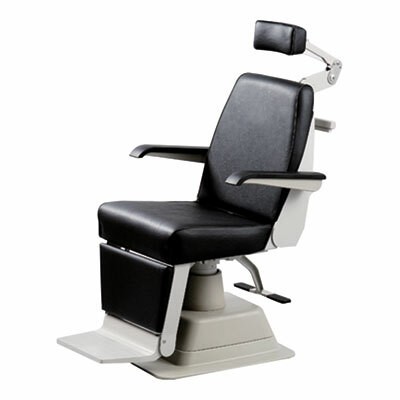 • Light intensity for coaxial and red-reflex illumination can be adjusted separately. 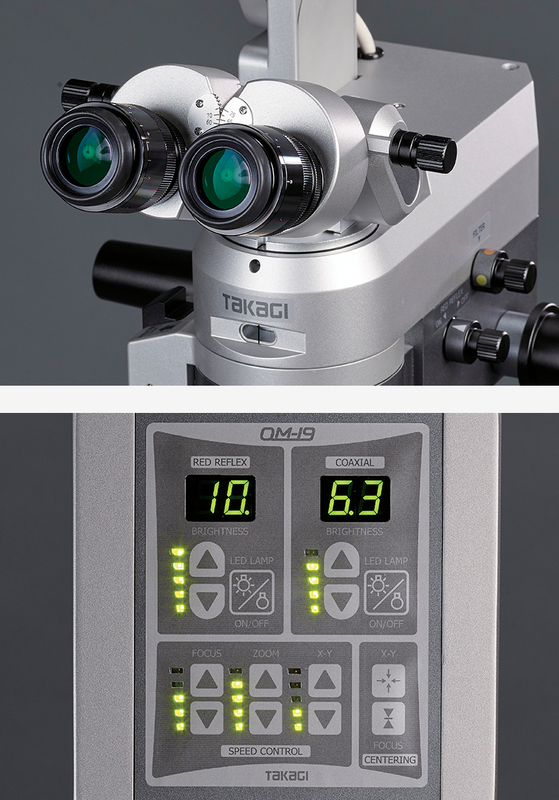 • Focus, zoom, and X-Y speed are independently adjustable. 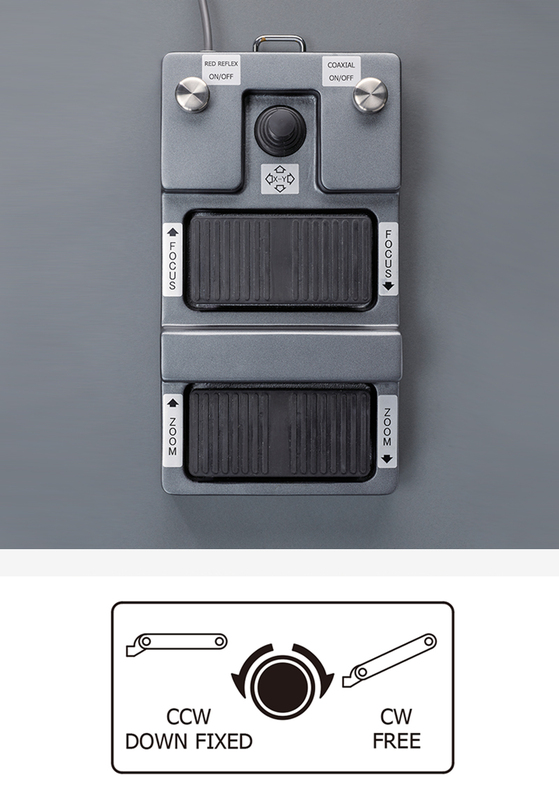 • Automatic X-Y and focus centering can be performed at the touch of a button. 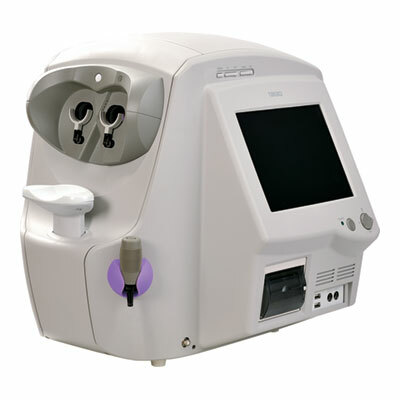 •By adopting a fine movement interlock system, the microscope head tilts back and forth easily, necessary in the application of glaucoma surgery, with a movable range of around 30º each way. 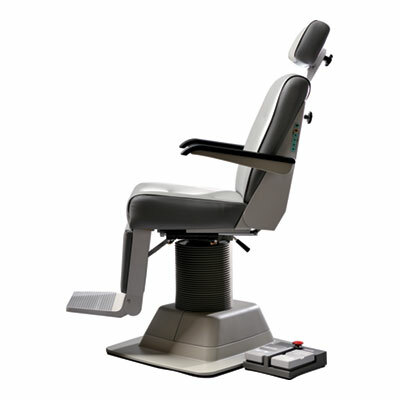 •Safety stop mechanism equipped as standard, where the lowest arm position can be set according to the height of the operating table, critical during VR procedures. 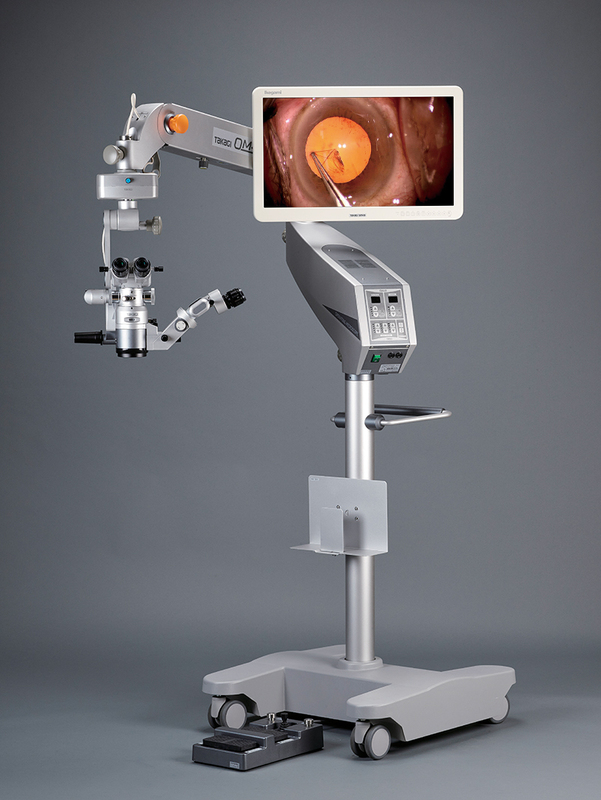 • New red reflex illumination system providing extremely bright reflected light from the fundus, allowing Surgeons to perform cataract surgery with ease. • By adopting a standard objective lens of F=200 mm, the working distance is optimized for vitreoretinal surgery. • 10x magnification eyepieces bring a wider, brighter, and sharper view with a larger depth of focus. • Light intensity for red-reflex illumination & coaxial illumination can be adjusted separately due to their fully independent light sources. 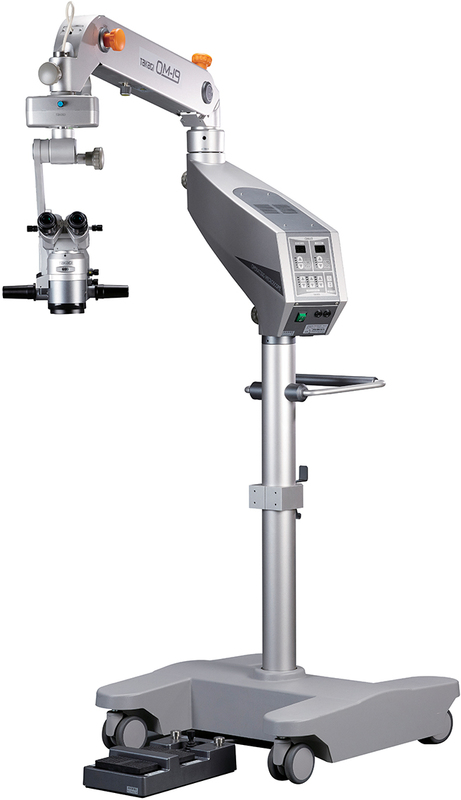 • Bright and sharp high-luminance LED having excellent color balance, giving a much brighter reflected light from the fundus in combination with the new red reflex illumination optical system.es. • With the blue correction filter, the projected light is soft and easy on the patient’s eye by reducing the peak of the characteristic blue wavelength of LED. 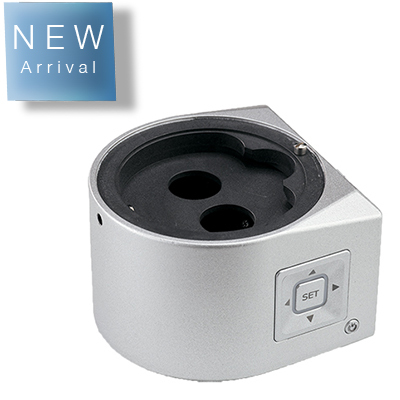 • 180˚ continuous rotation through right and left directions whilst mounted. • Magnification adjusted manually in three steps. • Tiltable binocular tubes equipped as standard, which can incline more than 90˚. 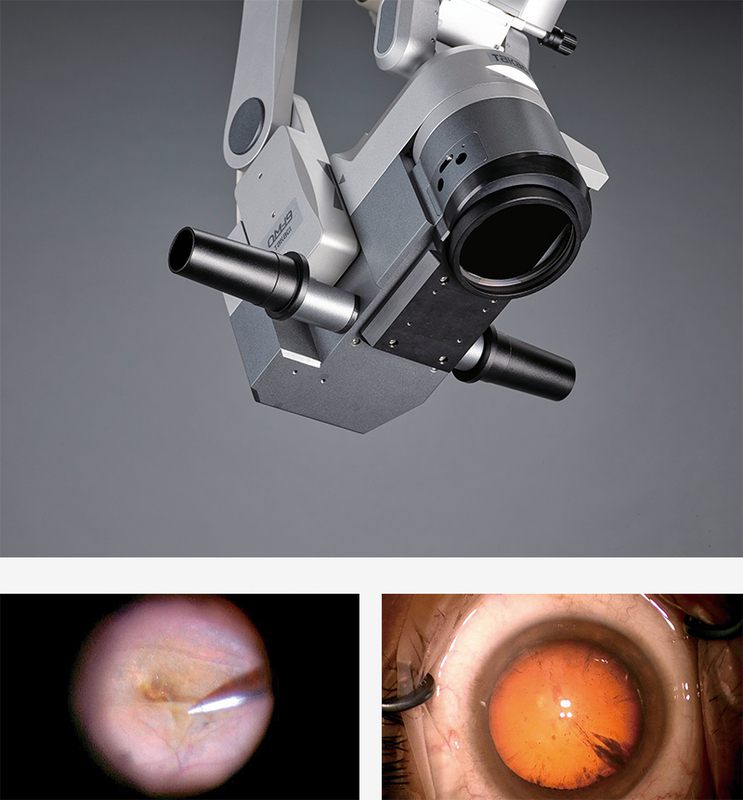 *Red reflex image through the assistant’s microscope is different than the main surgeons view, the red reflex illumination is optimized for the main surgeon’s optics. 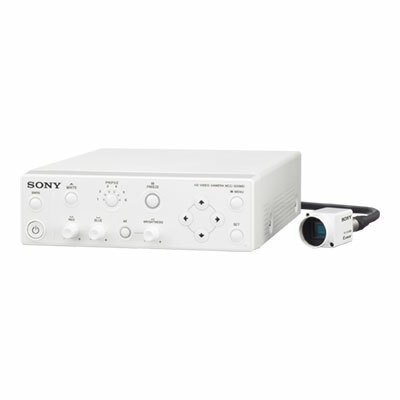 • Providing the same coaxial image and red reflex illumination as the main surgeon. 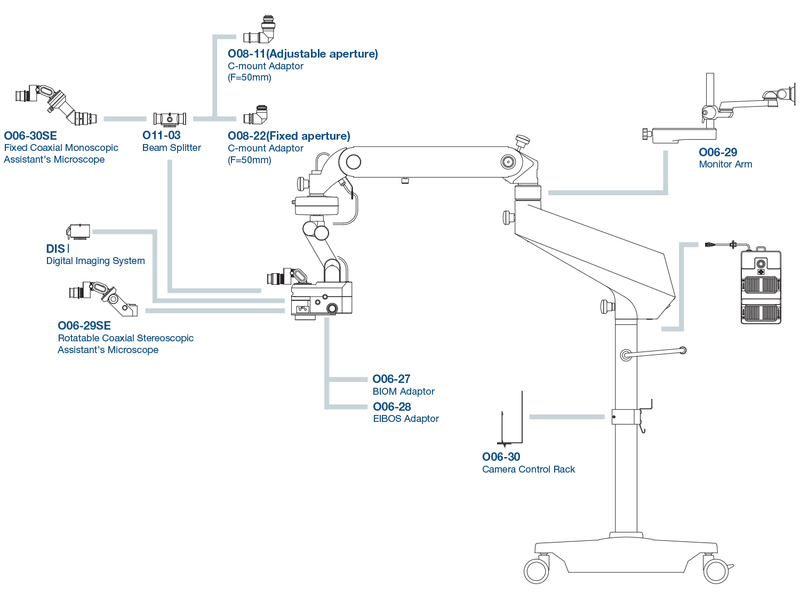 Mounted using the O11-03 Beam splitter, with the optics in/out switching lever, ideal when 100% light is required by the main surgeon. • CCD camera system can be mounted using O11-03 Beam splitter and O08-22 or O08-11 C-mount camera adaptor for integration with surgical video documentation systems. • O08-11 is equipped with an adjustable aperture for regulating light, O08-22 comes with a fixed aperture. 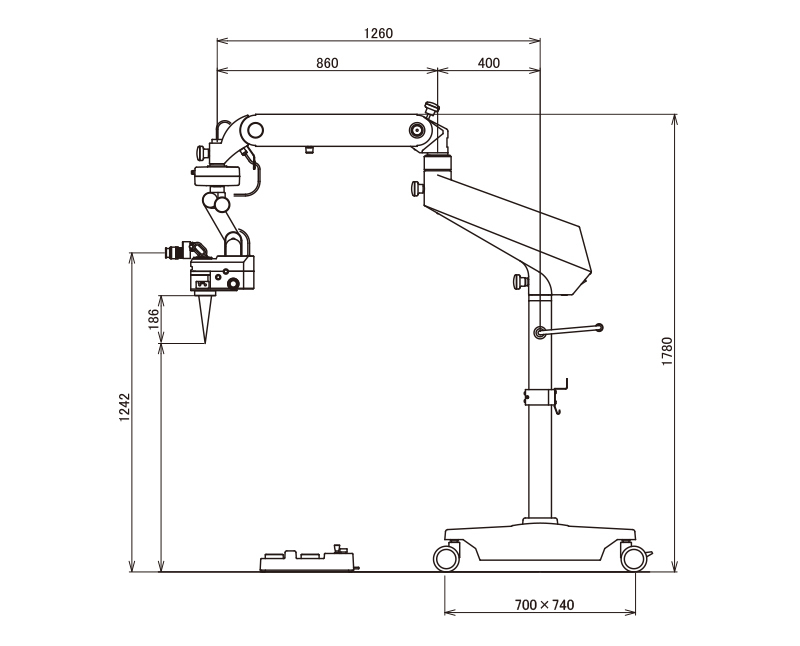 • LCD monitor can be mounted on the upper microscope arm with O06-29 Monitor arm. 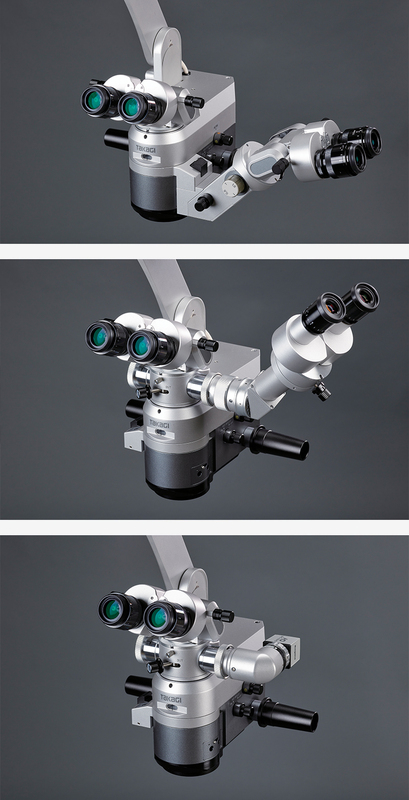 • Camera control unit can be mounted on the lower microscope pole with O06-30 Camera control rack. • Oculus BIOM and Haag Streit EIBOS adaptations are available.